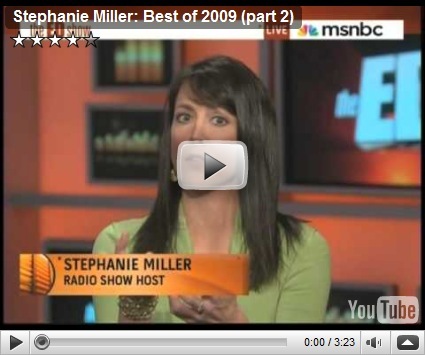 One of my favorite entertainers is radio host Stephanie Miller. I have pretty regularly listened to her radio show since its beginning in 2004. She is witty and very funny. I am the “Official Cable Guy” of The Stephanie Miller Show. 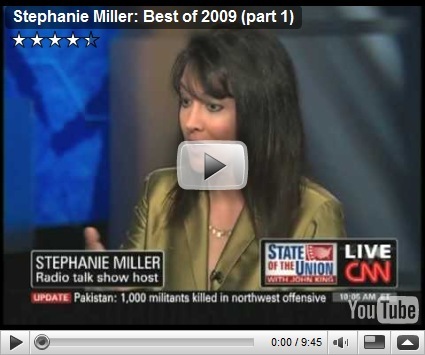 Here is the best of Stephanie Miller from 2009 (so far) from her many TV talk show appearances. I bought a used Tommy Tutone LP in the early 1990’s just to get a recording of 867-5309/Jenny. I remember being very impressed that I had found a copy of the record in such good shape at such a low price. I also remember the clerk at the used record store in Lima, Ohio was not as impressed as I was. It was just one of those songs that I had liked a lot that I just never bought when it was new. Later I recorded my version of the song. I occasionally recorded cover songs then that I was playing, to give myself more practice at recording in general. Sometimes I destroyed the recording after I made it, sometimes not. The problem with this recording 867-5309/Jenny was that I recorded it in my normal fashion, for back then. I would record four tracks, mix them down to a second cassette deck (with dbx noise reduction) and then record that mix to the original tape past the point where I had recorded the first four tracks. Then I would overlay more instruments on that mix, mix it down again and keep repeating until I was done or the tape ran out. It worked pretty well, but that technique made it hard to go back once you mixed it all down. As soon as I started to edit audio digitally, I had the notion that someday I could take the individual tracks from the tapes, arrange them to start at the same time and end up with a complete recording. I understood the physical problems involved. The tape moved at the same general speed while it played, but because of sight fluctuations in speed caused by the mechanics of the playback and recording, changing tape tension as the tape ran, and the use of another tape deck that I mixed it all down to that was also doing the very same things, my work was cut out for me. My Digital Audio Workstation (DAW) featured the ability to stretch or compress audio in time that would fit the pitch and tempo of the base tracks. I could get the tracks close enough to start them at the same time by dragging them around, but because of minor differences in the length of the track regardless of what I did, eventually they would be playing off beat to the others, resulting in an out of sync mess. Luckily my DAW can detect beats and line them up from one track to another. It is a wonderful tool and does a very good job of bringing it all back together, but it isn’t perfect. I still hear a few parts that it was a little “loose” with, but all things considered, it does much better than I can do by trial and error. I sang, and played all of the instruments. I think the guitars are an Ibanez Les Paul and a Fender Stratocaster electric. The bass was a Rickenbacker 4001. The drums sounds are from a Boss Dr. Rhythm drum machine and were played on Yamaha MIDI drum pads. I originally recorded the song on my analog Yamaha MT-1000 4 track recorder. Recently I transferred it to my Fostex VF-16 digital multi-track and processed it with Cakewalk Sonar 7 Producer and Sony Sound Forge 9. I was a big fan of the alternative rock band 10,000 Maniacs in the early to mid 1990’s. I have all of their CD’s and all of singer Natalie Merchant’s solo albums as well. I recorded this cover of The Big Parade (written by Jerome Augustyniak and Natalie Merchant) sometime around that time. It’s a song about a son being sent to the Vietnam War Memorial in Washington D.C. by his mother to honor the son she lost in the war. I recorded the song on my Yamaha MT-1000 4 track cassette recorder. It had dbx noise reduction, ran at 3.75 inches per second, and could record four tracks simultaneously, all on a chromium dioxide cassette. My mix-down technique back then involved a regular cassette deck using dbx too, but the generational noise effect made each mix-down increasingly noisy, even with the dbx. I was able to minimize the noise through computer processing on this track. I equalized the song to enhance the lower frequencies as there wasn’t much of it in the analog mix. I originally had plans to re-process the entire mix, but that proved to be somewhat tedious work, so I abandoned it. To create this recording, I used an original mix with the percussion, bass guitar, and acoustic guitar together. It was a pretty good mix, but not much low end punch. Then I had the two electric guitars and the vocals that were separate. I did a little work on the mix, mainly with an equalizer plug-in and made the bass a little more prominent than it was. I sang, and played all of the instruments. I think the guitars are a Yamaha acoustic and a Fender Stratocaster electric. The bass was a Rickenbacker 4001. The drums sounds are from a Boss Dr. Rhythm drum machine and were played on Yamaha MIDI drum pads. I originally recorded the song on my analog Yamaha MT-1000 4 track recorder. Recently I transferred it to my Fostex VF-16 digital multi-track and processed it with Cakewalk Sonar 7 Producer and Sony Sound Forge 9.